Find your prince! Fairy tale princesses don't have anything on the magic of these dazzling and dramatic shoes by Moschino Cheap and Chic! Leather and preciously patterned textile upper. 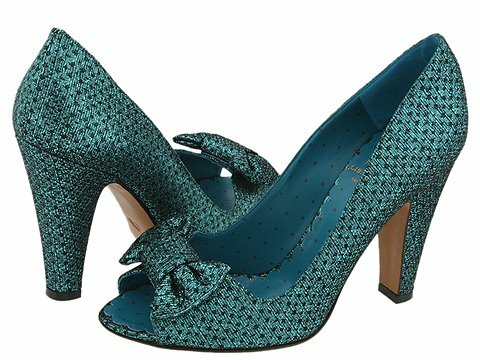 Peep toe accented with a magically memorable bow. Leather lining. Leather insole. Leather outsole. Comes with a shoe bag. Made in Italy.